The CarveWright Rotary Jig can be used to create unique lithophanes using common PVC plumbing pipe. The results are impressive! 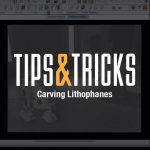 Now you can create unique lithophanes that most people have never seen before. Rotary_PVC_Lithos_Tutorial This was also covered in a Build Blog article here.